Group dance classes are lots of fun and a great way to gain experience and material (not to mention meet new people! ), but they also present unique social circumstances that can be tricky to navigate, especially for newbies (what? personal space?). Follow these reminders to get the most out of your group class experience and ensure everyone in class has a positive experience! Check your ego at the door. Be 100% friendly, encouraging, and kind to all (including yourself)! Partner dancing is a close contact sport. Remember mints and deodorant. If you come straight from work/activity, consider a fresh shirt. Hand sanitizer applied strategically also works wonders. Phones silent and out of sight, unless you are filming a pattern (with instructor permission). Be on time. Missing even the first five minutes can set you back for the rest of the class or cause you to feel confused about what’s going on. Pay attention/don’t talk while the teacher is talking. Don’t be that person asking questions about something already covered because you weren’t listening. Rotate partners and thank everyone you dance with. 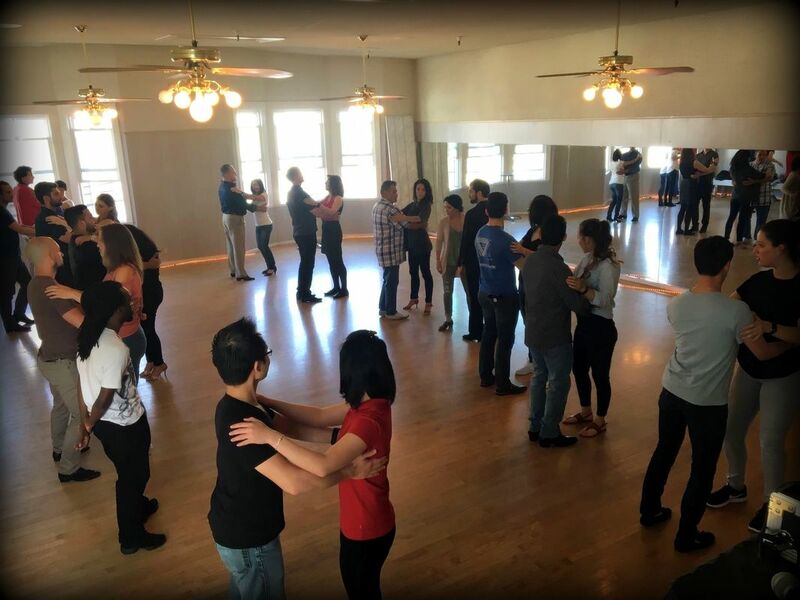 The fastest way to get better is dancing with a variety of people. Respect your instructor and fellow students by not dancing ahead or free-styling during group instruction. It’s distracting. Also during group practice, be judicious in leading material outside the scope of the class pattern.